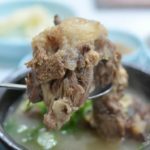 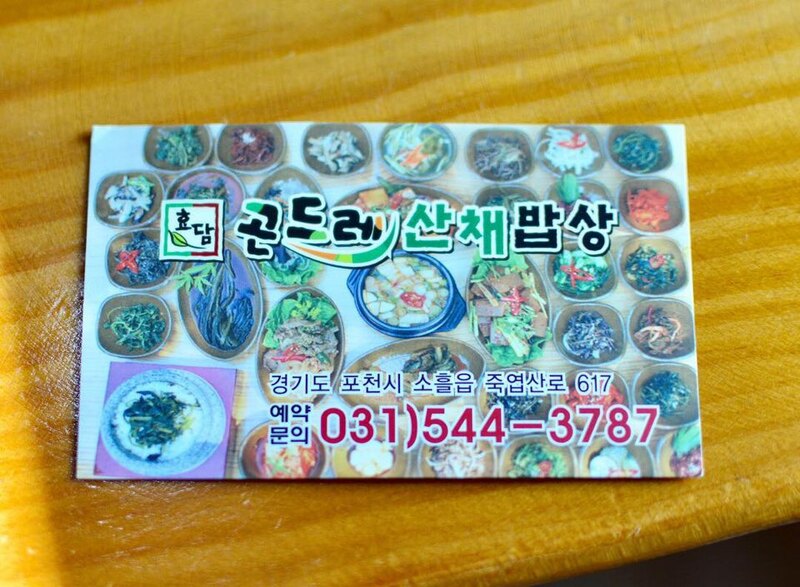 More delicious comfort food discovered outside of Seoul, this time in Pocheon, about a two-hour drive north of Seoul. 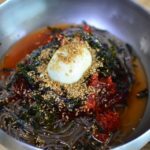 Using house-made, artisanal jangs (ie. 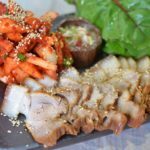 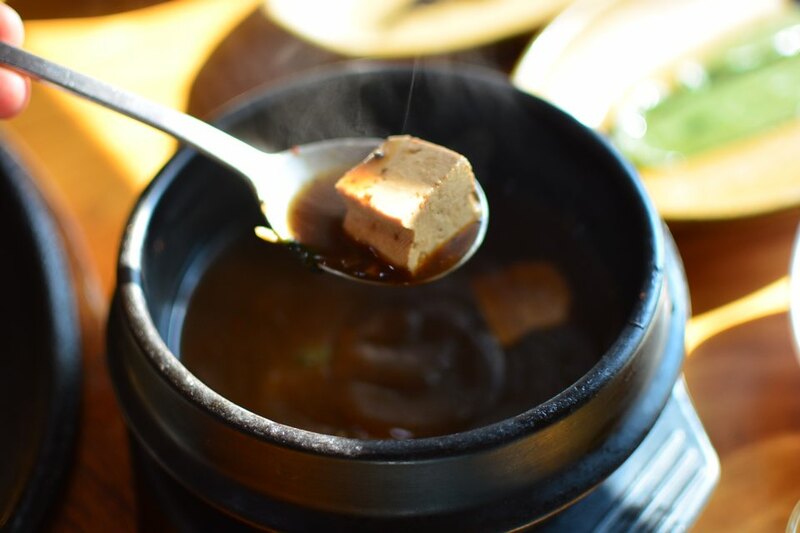 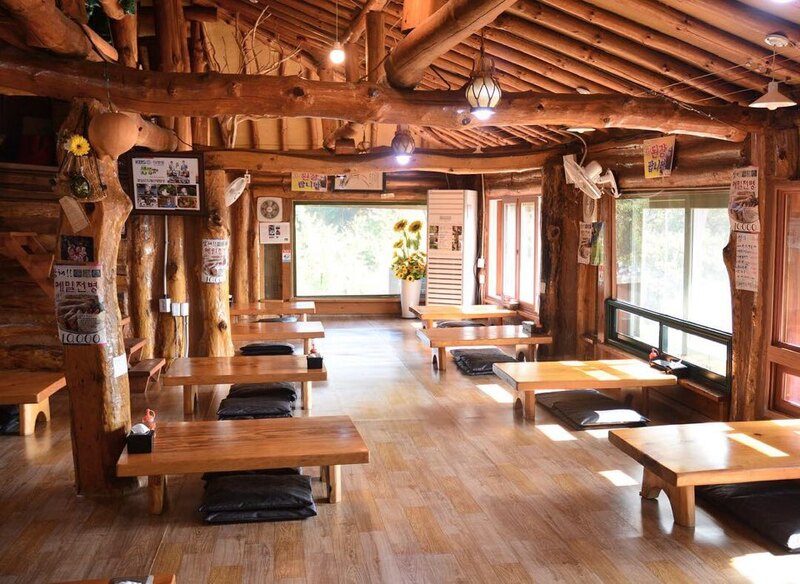 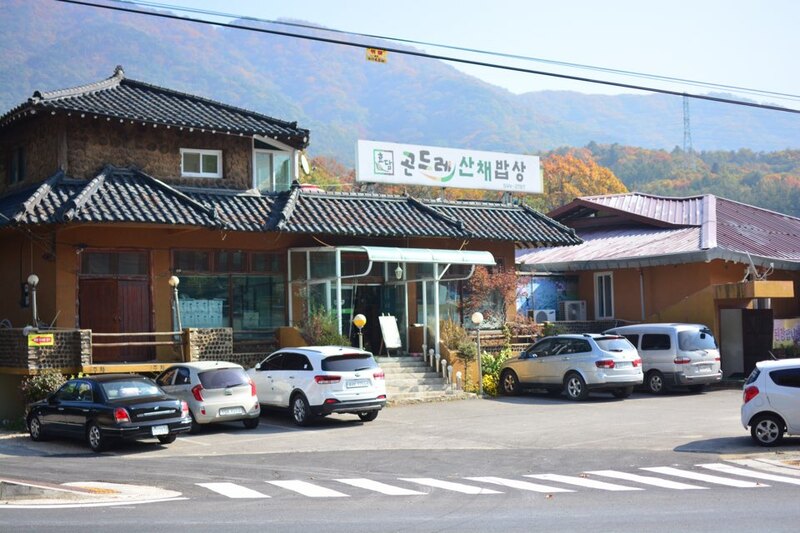 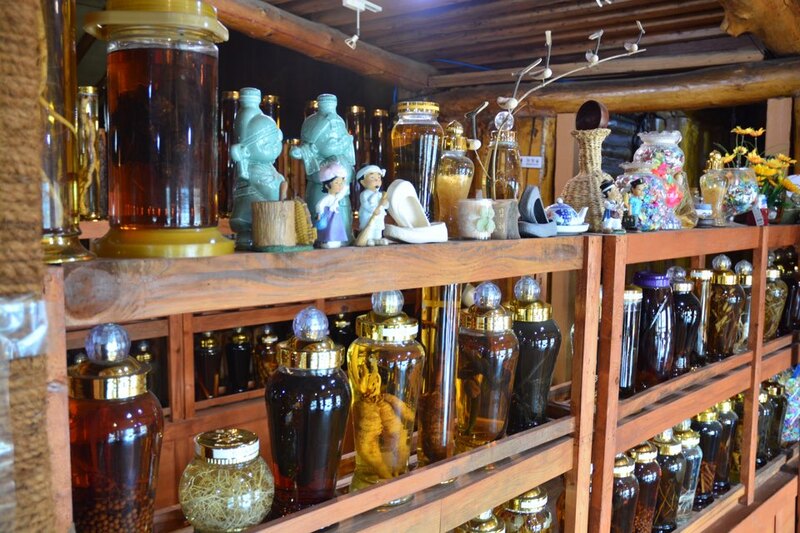 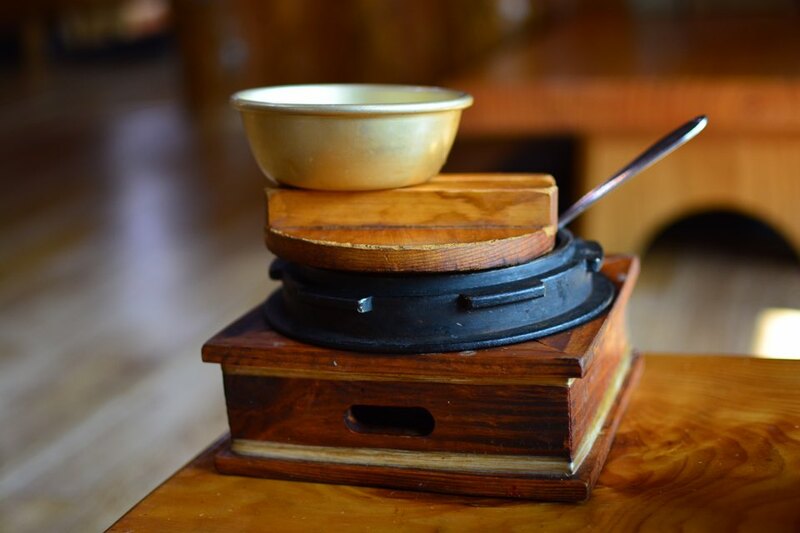 doenjang, gochujang, ganjang)—even available for sale—this rustic restaurant epitomizes everything good about country eating with their select options of jeongsik (course set meal). 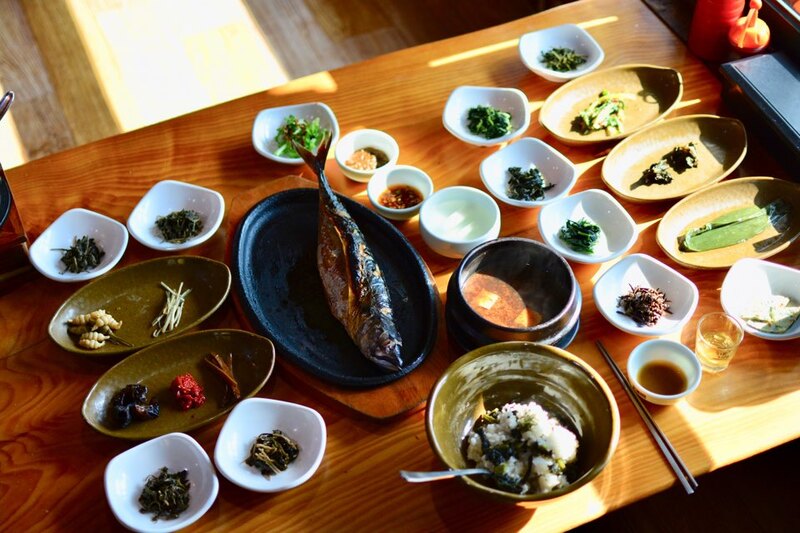 Pictured is their Jaban Jeongsik for 14,000 won, a glorious spread with salted mackerel front and center. 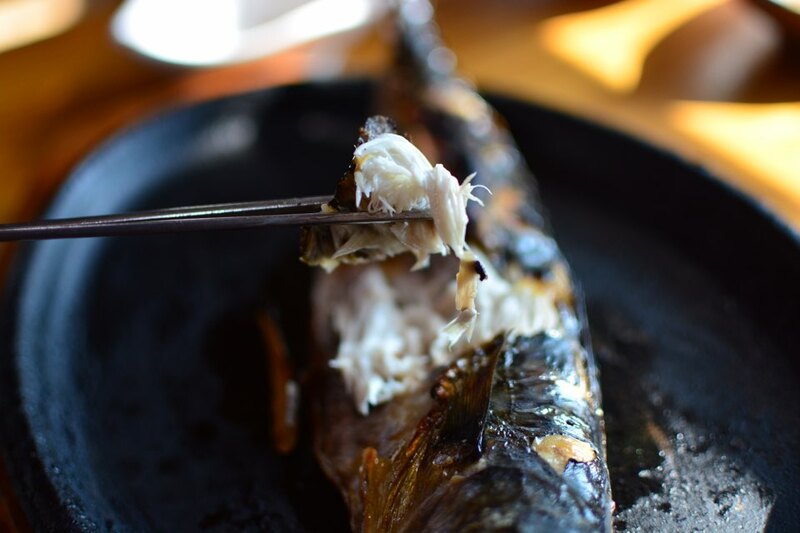 The fleshy fish was perfectly grilled with a nice even char. 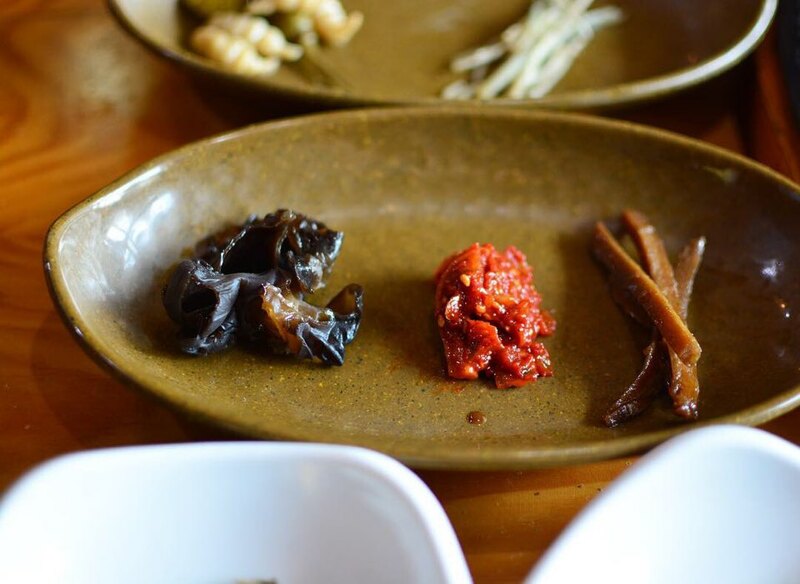 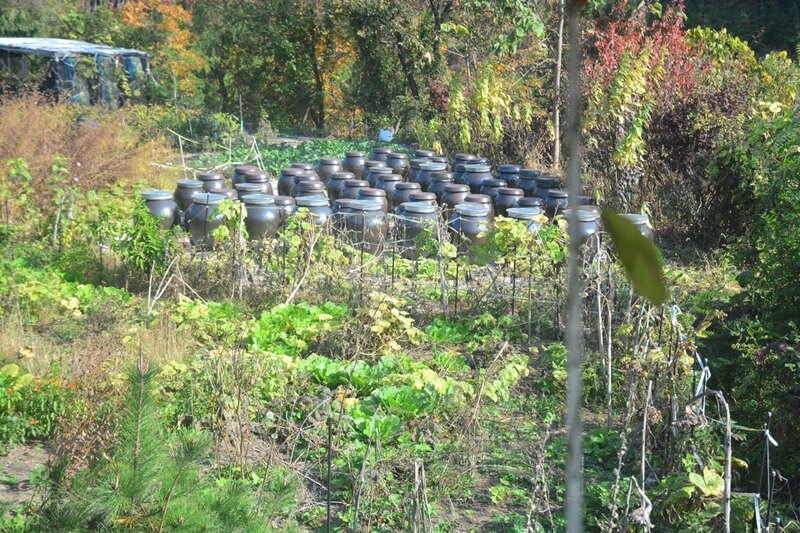 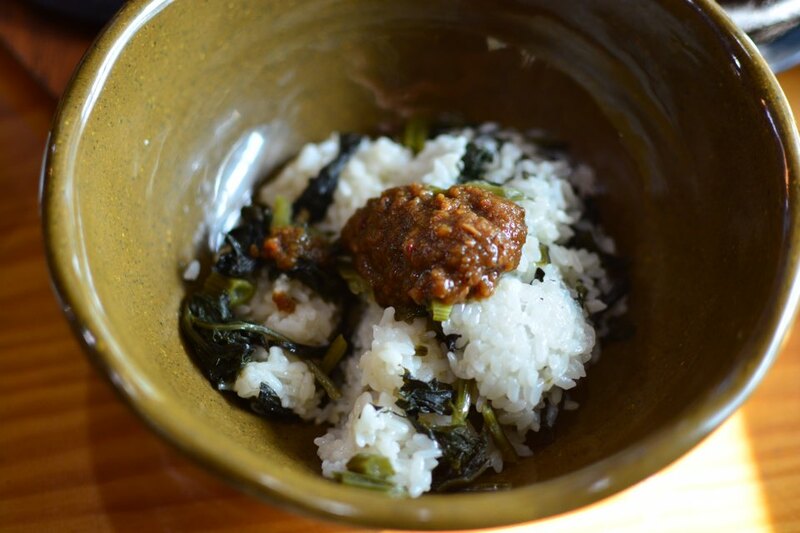 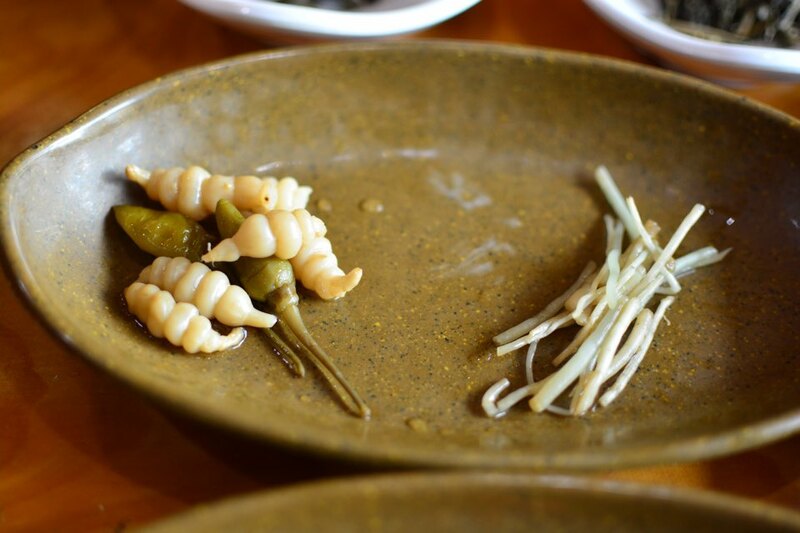 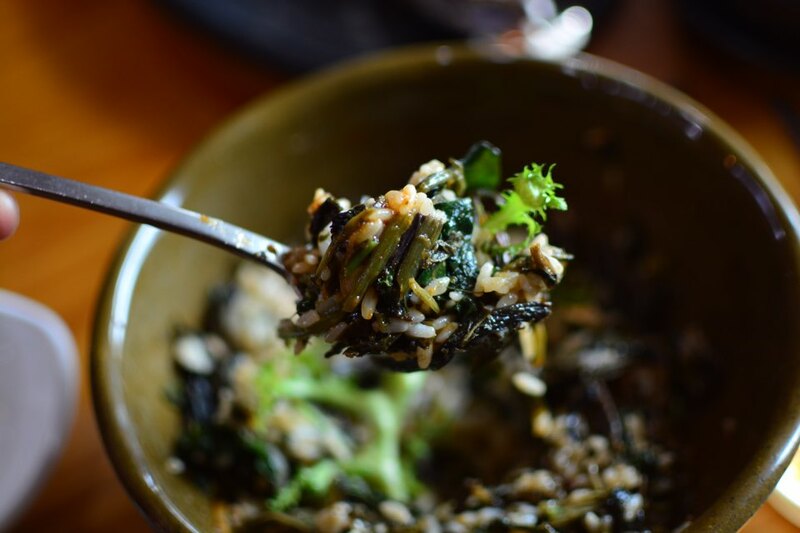 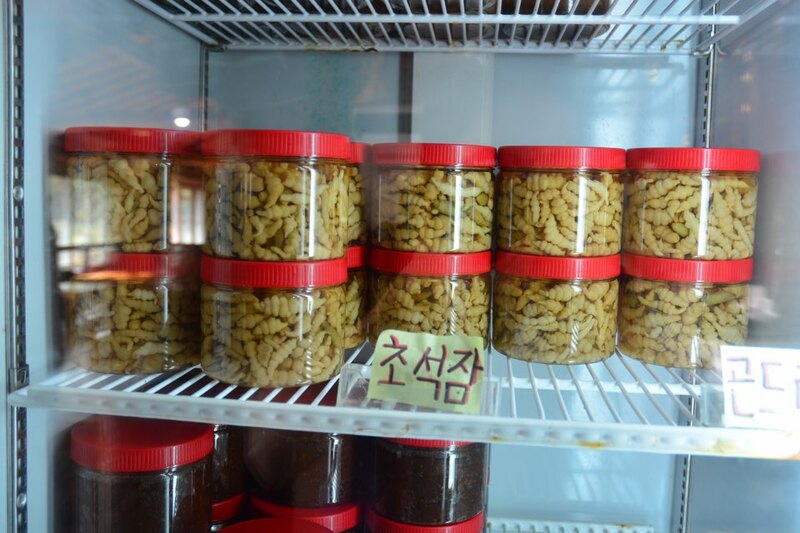 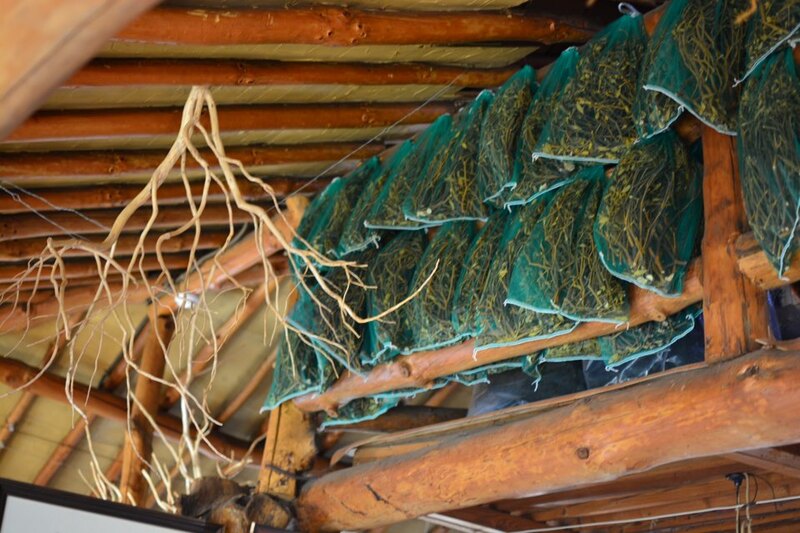 The san namul banchan (wild greens), according to the owner, are organic and grown/picked in the nearby forests and mountains. 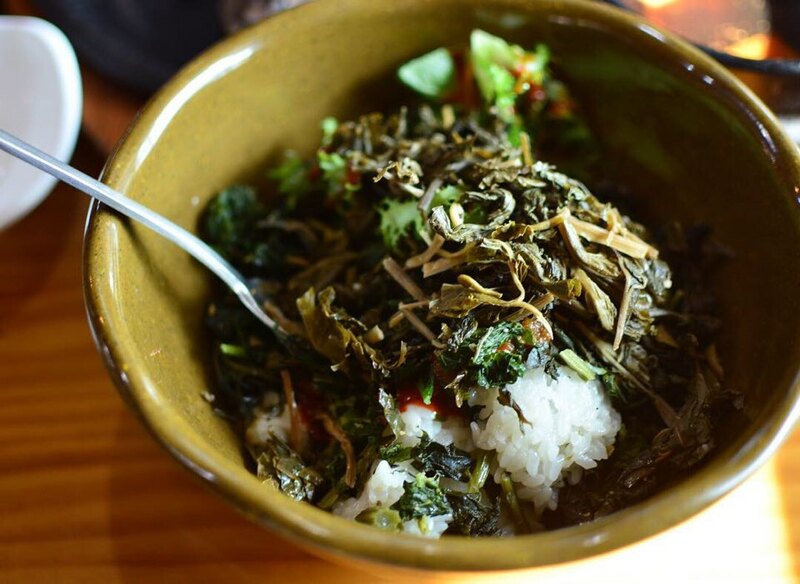 Most are wild greens, herbs, leaves, and roots accessible only in these parts, making them prized additions to any meal. 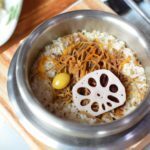 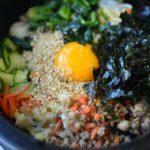 You bibimbap them together using the aforementioned jangs and you have quite an impressive meal that’s light yet filling. 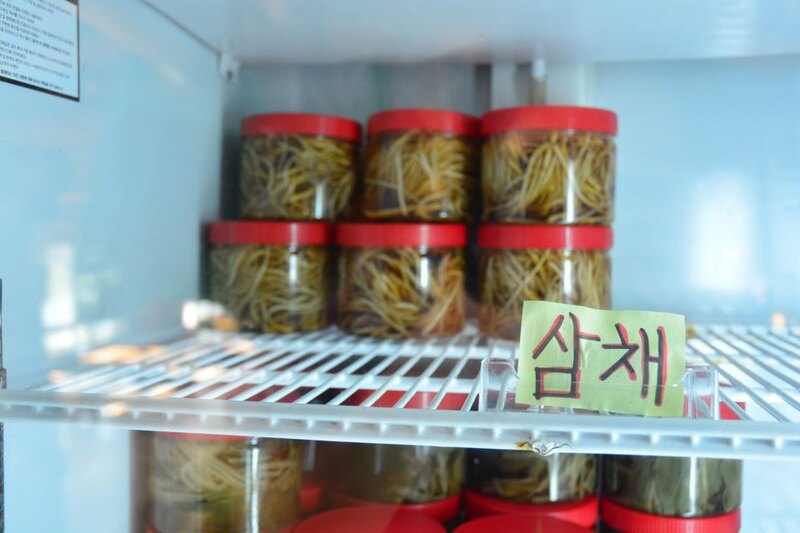 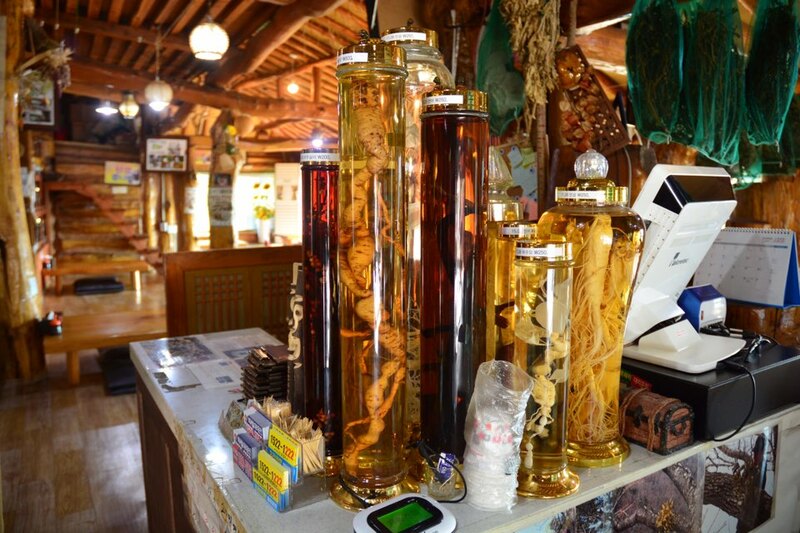 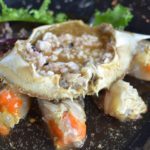 Other options include ganjang gejang (soy marinated raw crabs) and deoduk gui (grilled bellflower root) at a nominal cost. 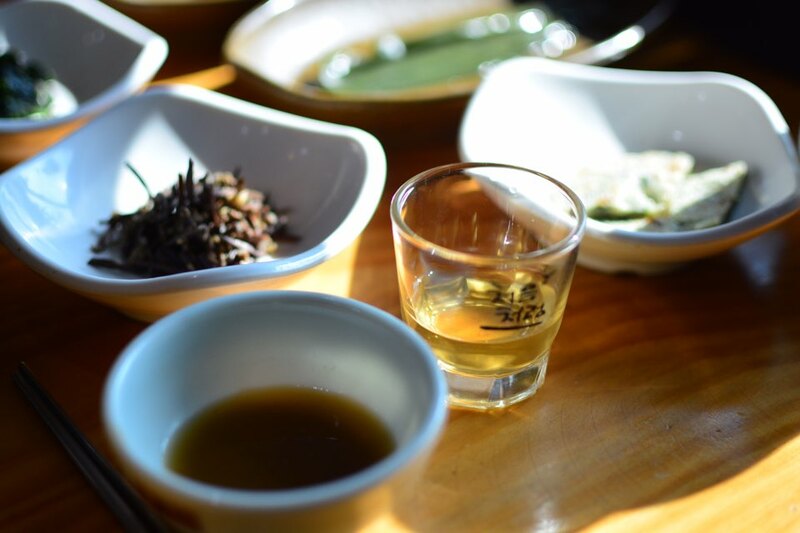 The hearty meal was shortly burned off nearby at The Korea National Arboretum (the largest in Korea) and Gallery Sansawon, a traditional Korean brewery where you can sample and purchase traditional alcohol, which I did with two cases of organic makgeolli.